Sweetest Day is like a mix between Valentines Day and Thanksgiving. It’s a day to give thanks for those extra-sweet people in your life. The holiday originated with a candy store owner who wanted to bring cheer and some happiness to the lives of those who were often forgotten. 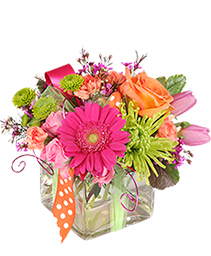 A great way to celebrate Sweetest Day is by ordering a gift basket of sweet treats from BLOOMERS for your someone sweet.